Each year, hundreds of animals are abandoned at the Geneva SPCA. Staff there believe that even if these animals have a past, they also have a future. So they asked people who have adopted at the shelter to send them pictures with their pets. 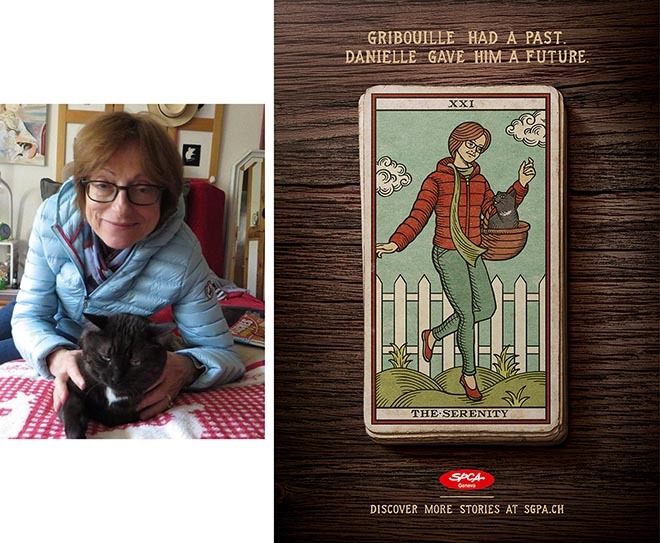 Three of them have embodied the voice of the Geneva SPCA in their 2015 campaign based on tarot cards. 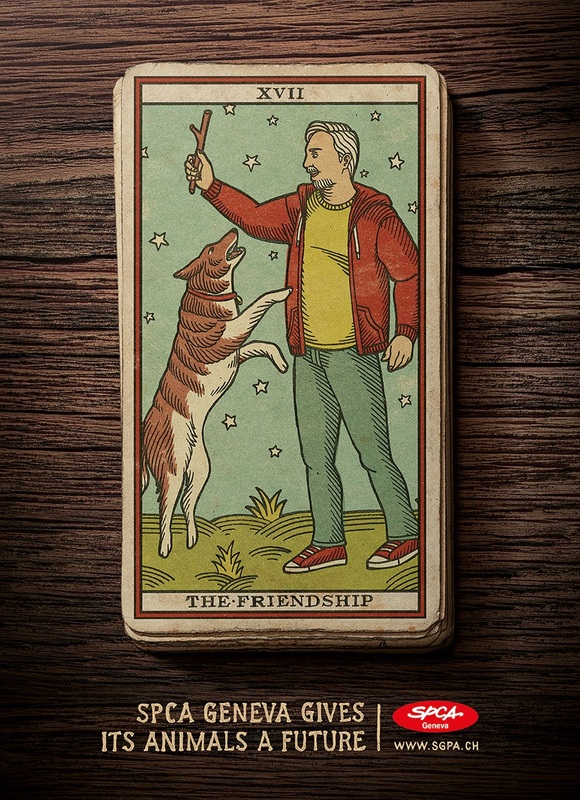 Tarot cards for happiness, affection and friendship were associated with adopting a dog, a cat or a rabbit. People spontaneously attached very moving testimonies with their pictures. These stories are now featured on the shelter’s website as proof of the success of adoption to convince the undecided that this is the right choice. 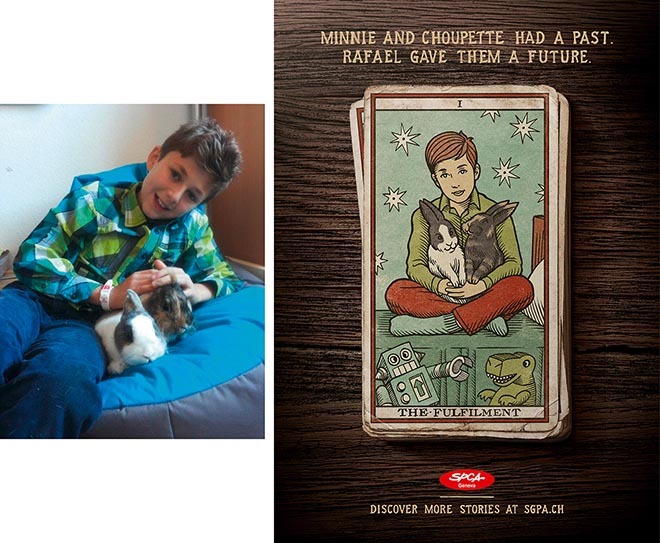 “Minnie and Choupette had a past. Rafael gave them a future”. 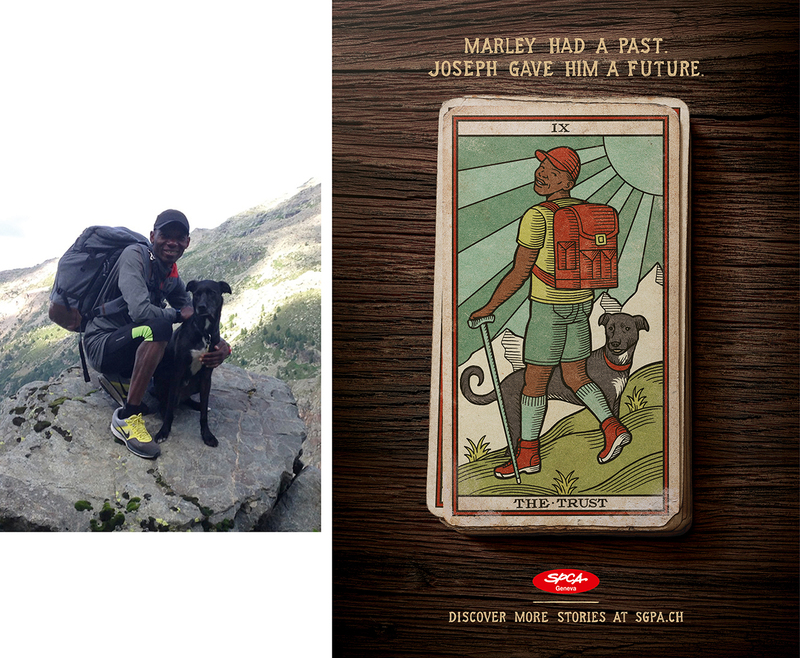 “Marley had a past. Joseph gave him a future.” “Gribouille had a past. Danielle gave him a future”. 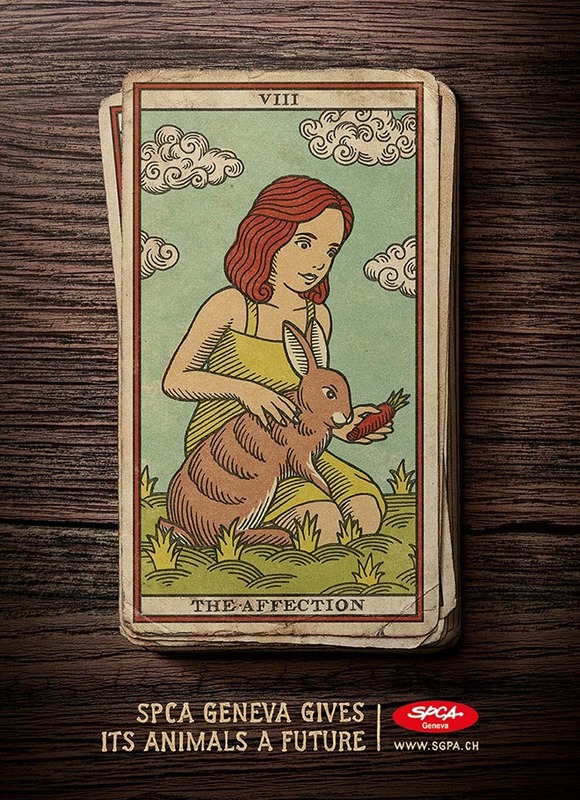 The new SPCA Tarot cards feature fulfilment (rabbits), trust (dog) and serenity (cat). 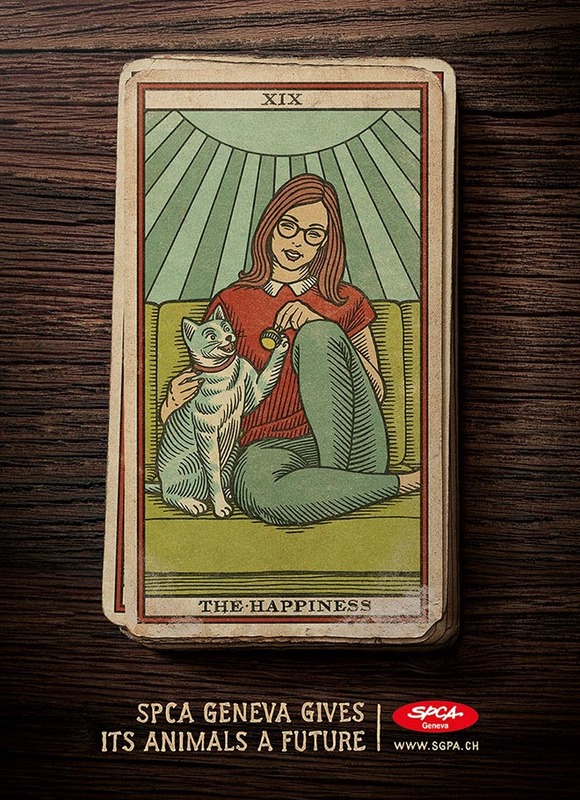 The Voice for a Future campaign was developed at Havas Worldwide Geneva by executive creative director Folker Wrage, creative director Gabriel Mauron, copywriter Thibaud Genevois, art directors Simeon Brandner and Pierre-Olivier Gardello, planner Alexis Mouthon, account director Caroline Prince working with Geneva SPCA marketing director Michèle Mex. Illustration was done at Yeaaah! Studio. Scan graphics were produced at Photolithography. Media was handled at Mediatonic.